I love children. Eating them, that is. So begins the story of a brother and sister who, like many siblings, have their differences. Can they stick together when they meet the most terrible villain of them all—the witch from Hansel and Gretel? The New Yorker: “A semisweet literary treat for the kiddies (of about eight years or older)… humor that will delight and challenge the inquisitive youngster… Sol and Connie Blink are two exceedingly clever kids who, upon arriving in their new neighborhood, realize that something’s up at the house next door, the abode of an old lady named Holaderry (a.k.a. the witch)… the adults in this book are the perfect foils for the children… It’s also a sweet book, full of moments of sibling solidarity." USA Today: “Fans of Lemony Snicket’s bestselling ‘A Series of Unfortunate Events’ should love Keith McGowan’s beguiling debut, a modern version of the Grimm Brothers’ chilling tale of Hansel and Gretel. It matches a mismatched brother, 11, and sister, 8, against an ageless witch, Fay Holaderry, who has written her own cautionary tale, ‘How to Cook and Eat Children.’ The moral: Good scientific research beats a ruthless witch." 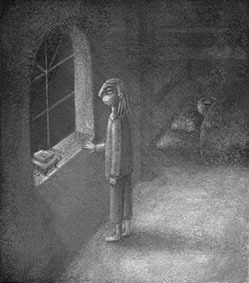 The Bulletin for the Center of Children’s Books: “Nuanced, fascinating, and gratifyingly dark… Sol and Connie are appealing in their individuality and in their at times prickly sibling relationship, and kids will enjoy the twist that this creepy old lady next door really is a witch instead of a sweet, misunderstood senior. 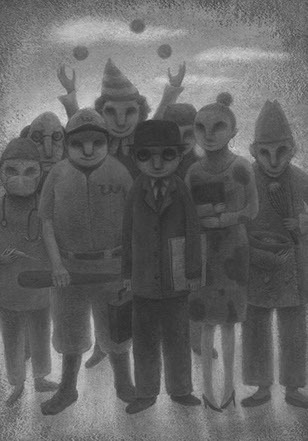 Tanaka’s frequent softly shaded monochromatic illustrations are atmospheric and haunting." 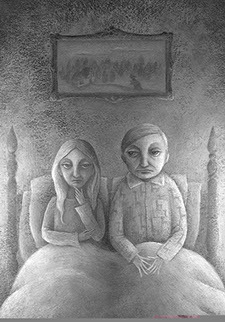 Publisher’s Weekly: “McGowan makes a strong debut with this contemporary recasting of Hansel and Gretel, starring 11-year-old Sol and 8-year-old Connie Blink… the story relies on Sol’s intelligence, scientific acuity and talent for research, as well as Connie’s subtle cunning, deviousness and confidence in Sol to defeat their parents’ plot… Up-to-date touches such as cellphones and the Internet make it especially accessible and appealing for thrill-seeking readers." 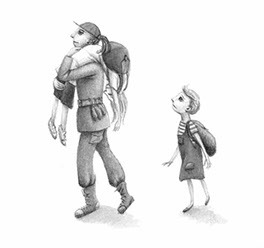 L'Express Magazine: “Truly endearing thanks to atypical personalities rooted in their painful past, our two young heroes make this modern tale touching and funny. Revisiting a classic of children’s literature with originality and mischievousness, that’s the challenge met by this delightful, spirited story that's never cheesy. Yum!" “Like a Hal Hartley movie for children. Quirky in an understated way, resourceful and brave, the siblings face their fears, reconcile their emotions, and outwit the witch in a remarkably implacable way. My kids, at least, really responded to the author's matter-of-fact presentation. No punches pulled, but no excess build-up either." "My 10 year old daughter and I both read this book. I found the witch's diary entries hysterically funny, as did my daughter. This would be a fun book for an elementary-aged child to read." “This was a fun story, perfect for a tween audience (or those wishing to re-live their tween years). The witch from Hansel and Gretel has moved to the suburbs, but she’s still got her cookbook open and active." “My daughter loved the book, took it on car rides to read just so she could see what happened." 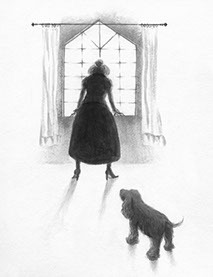 "This book is deceptively simple, like the old fairytales, but opens the door to many animated dinner-table discussions." “Great book with a witch as one of the main characters that is not too scary. Kids will love this one. My girls ages 5, 7 sure did." 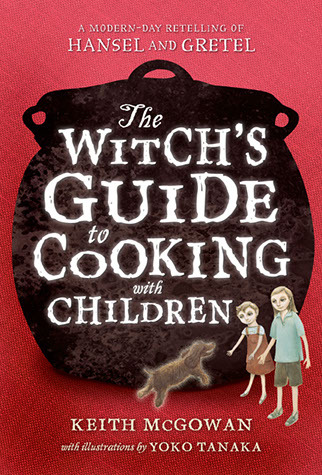 Every season, independent booksellers nationwide pick about 16 books in each age range as “inspired recommendations for kids.” The Witch’s Guide to Cooking with Children was chosen as one of these Indie Next Picks.